One of President Donald Trump’s favourite Twitter subjects since his election has been the stock market. According to a Business Insider analysis, Trump tweeted about the market 70 times since the election. 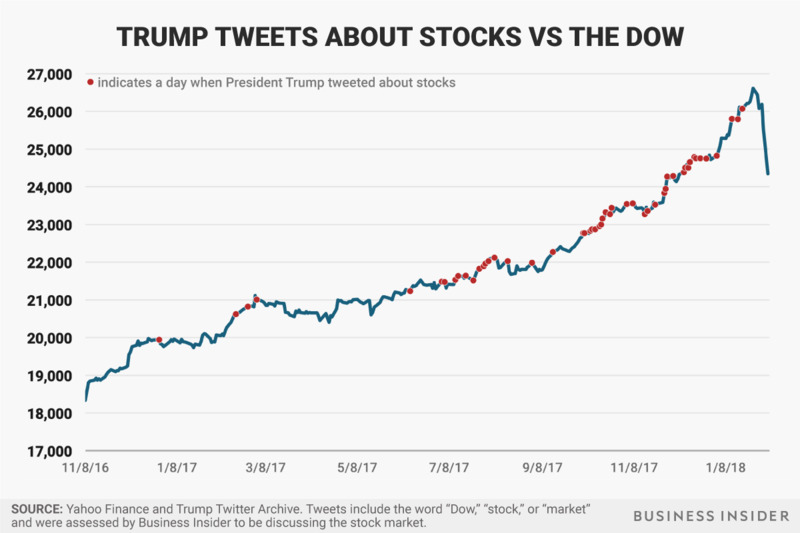 This mean the president tweets about stock on average every 6.5 days. But Trump has not tweeted about the market in 17 days, coinciding with its recent swoon. President Donald Trump has personally stayed silent during the recent stock market swoon, a departure from his frequent Twitter musings about the market during his time in office. 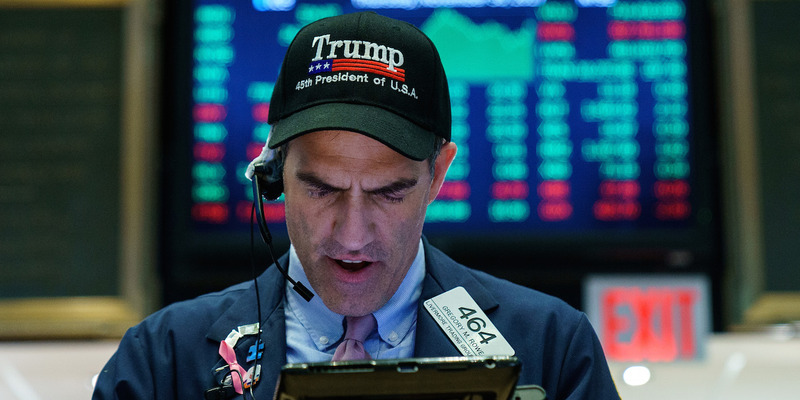 Trump has frequently taken credit for the stock market’s huge surge since the election, a tactic that may not be advisable given the unpredictability of the market. 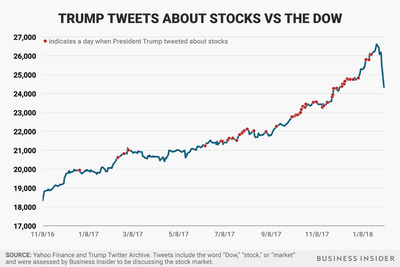 The market has been a frequent subject of the president’s tweets. He has tweeted 70 times about equities since his election in 2016, according to a Business Insider review. That means Trump averages a tweet about the market every 6.5 days. The frequency of his market tweets accelerated late last summer, as the various major US stock market indexes broke through record highs and Trump turned his attention to economic policy as he pushed tax-cut legislation. The last time the president tweeted about stocks was 17 days ago on January 20. That was six days before the most recent market high. Since then, however, the major US stock market indexes are well off their highs and volatility spiked even with a strong bounce back on Tuesday.